If you’re starting to look for hairstyle inspiration for Fall, there are many gorgeous hair trends to inspire your next look. 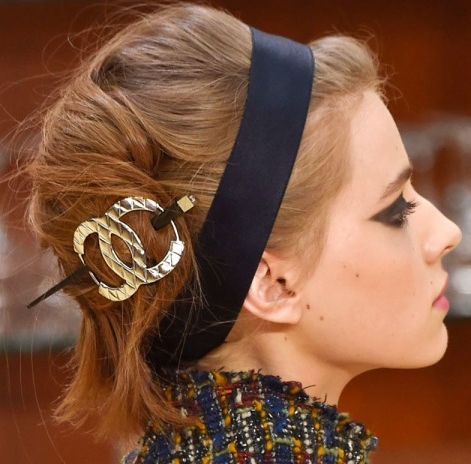 This season, hair accessories remained a big player, with stylists bringing back some of our favorite old-school favorites. Tousled locks were a popular look last season and have continued into Fall 2018 with many shows sending models down the runway with woke up like this bedhead. On the opposite end of the spectrum, there were those who favored polished, sideswept hair and wet-look finishes. Retro fans will be glad to hear that there were several throwback references on the runways that extended beyond accessories. A 60s theme was evident at a few different shows, while others chose to channel the general allure of decades gone by with romantic, vintage-inspired ‘dos. Last but definitely not least, shows that featured updos really went for it, creating next-level looks that went beyond the standard ponytail.